Every major company working on AR is competing to tempt developers their way. Apple has ARKit, Google has ARCore, Facebook and Snapchat are doing filters while Microsoft has HoloLens. And then there's Magic Leap, the formerly secretive startup that's more recently been promising Lightfield-based AR goggles. After years of silence, the company finally pulled the veil off its first device, the Magic Leap One. 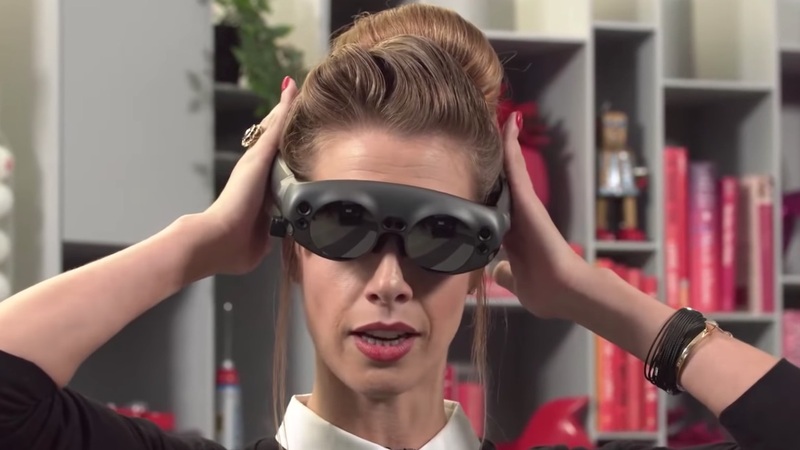 It'd be easy to think that Magic Leap has disappeared since its big announcement, but you'd be wrong. The company has been more forthcoming than ever, but not to the public – to developers. The company is quietly putting on a masterclass in how to build an ecosystem, catering to developers and early adopters who are thirsty for information. It started by announcing that the One was intended for early adopters and developers, following up by dropping its SDK and developer portal, where creators can get to work. Sure, you'll see Apple and Google do the same when they announce a massive new software update. Magic Leap is going a step beyond that, though, also opening up a forum where creators can learn from each other. Not only that, but it also has a monthly hour-long web show where a Magic Leap developer interacts directly with the community. It's really community management 101. The show starts off running through the latest news in the platform, before showcasing what some people in the community are working on (real slick, getting folks engaged like that, you sly devils you). Then there's a larger segment spent talking to another Magic Leap employee. This month, it was someone from marketing who runs the demo experiences. She had a working Magic Leap One for a walkthrough, even putting it on for the cameras. We got to see how the strap adjusts (you just pull it), how the Lightpack fits in your pocket (you just slip it in until it clicks, but don't put it in all the way), and how the headset sits in your head (you want the back strap near the crown of your head, not the back of your head). Beyond that, Magic Leap then offers tips and tricks developers should know when they're creating experiences. The host, for instance, talked about how it's tempting to throw in as many features as possible, but that the company found it created a "mess" of an experience when it did. Keeping it simple, and not populating the scene with objects, tends to create the best experience, apparently. The finale to each week is probably the most illuminating. It takes live questions straight from the community. One person asked whether the One they had was a working unit or a dummy, so the hosts turned it on. Another person wondered whether the One would be able to use a phone's internet connection out in the world (the answer is not yet, the One is aimed at home users but later devices will be for going out and about). These small gestures make Magic Leap feel like a company that cares about its developers, and there's a charming personal touch to them. It feels like these employees are actually interested in helping people understand what Magic Leap is doing and how they can create great experiences, rather than hard selling on why they should develop for Magic Leap and not Apple. That is how you build an ecosystem. You create a friendly environment and engage with developers, teaching them how to build great apps and games so that one day, when everything is all sorted out for the regular person on the street, you can celebrate together. Or, well, that's what it feels like.